It's time to take our best-selling speakers and provide a massive upgrade. Equipped with all new features of a modern powered speakers. New inputs include a new optical, coaxial and wireless Bluetooth inputs. Experience HD audio for the first time. Black wood look to keep the classic look with a new twist on the style of modern technology. 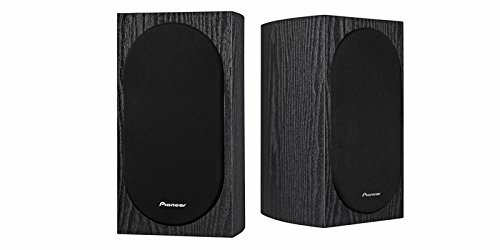 Now your speakers can blend in well with your computer, television, record player or any other piece of technology. Use the side panel knobs for adjusting the EQ to your liking. The controls are located on the active/powered speaker. Twist the knobs on the side control unit to fit for your own personal preference of sound. Change the volume by adjusting the knob on the active speaker. 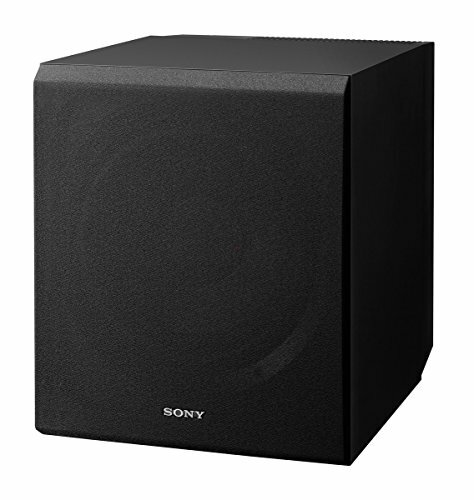 Newly added inputs such as optical and coaxial inputs upgrade our standard set of speakers into full HD set of bookshelf speakers. With the new additions, we have also left the RCA connections in tact for keeping the option for RCA or AUX connections. Many of our customers have relied on our RCA inputs and cables included. Also, achieve a wireless Bluetooth connection between you and your source like a phone or a laptop. The newly included remote enables you to easily switch inputs, adjust volume and power with the use of the included remote. With the newly redesigned wireless remote, control Bluetooth connected devices. Control playback with the buttons located in the square with the Bluetooth logo. 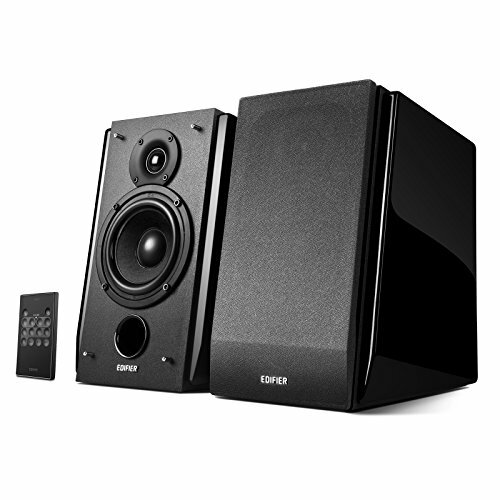 Versatile speakers will have you wanting to play every device off of them. 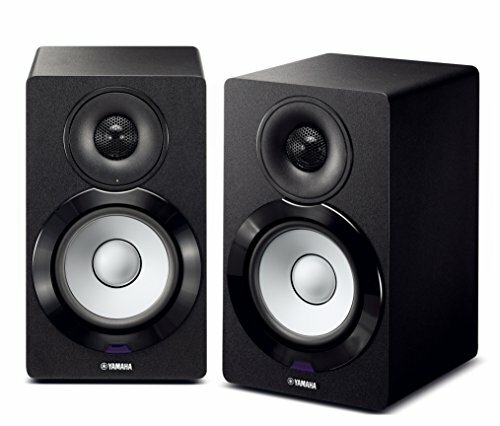 Plug in your gaming console, computer or TV for exceptional sound quality. The R1700BT has built in Digital Signal Processing (DSP) and Dynamic Range Control (DRC) to prevent distortion Designed with a 19mm "Eagle Eye" dome tweeter, this bookshelf speaker creates uncanny sound. It brings a new meaning to clear sound. ALL CABLES INCLUDED - 10ft speaker cable, and 3.5mm to dual RCA AUX cable included for genuine out-of-box plug and play experience. Buy with confidence from China's second largest speaker and headphone manufacturer Edifier is the world's second largest manufacturer for consumer audio. Our mission is to prove to the world that China creates high quality electronics that everyone can enjoy. Highly acclaimed and award winning series of speakers designed by world-renowned speaker engineer Andrew Jones. 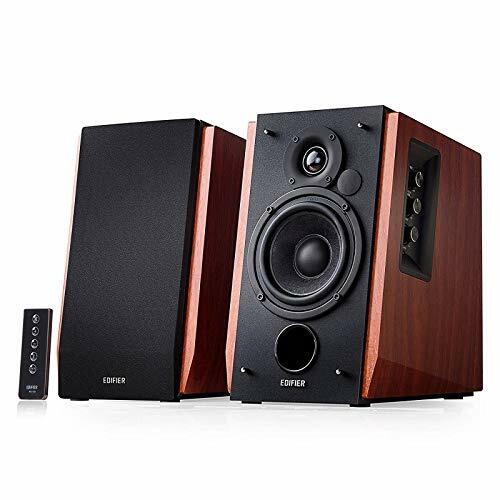 The SP-BS22-LR bookshelf speakers were designed to offer extraordinary performance and remarkable sound quality for music and home theater at an affordable price. 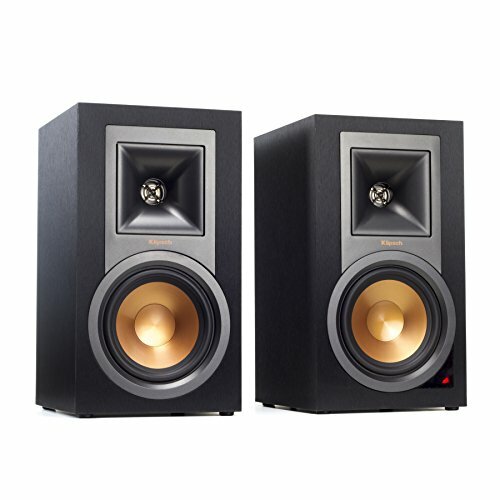 The T15 are those bookshelf speakers whose high versatility is built to impress. 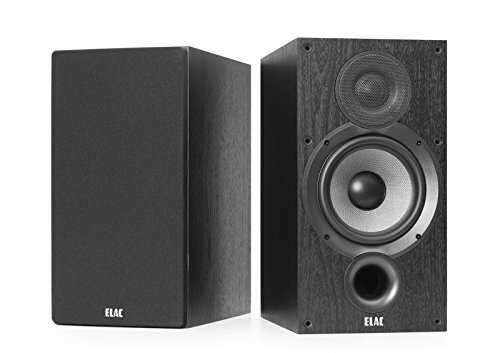 Engineered with Polk's proprietary Dynamic Balance technology, they're primed to improve your home theater experience and take on your entire arsenal of tunes without fail. Think brighter highs, a wide-open mid-range and surprising bass response-the perfect entry into high-performance audio. The best part is that it won't drain your wallet! Go big on great sound made for everyone. 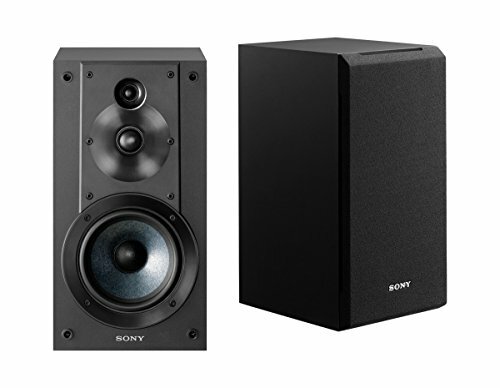 Add the T15 bookshelf stereo speakers to your home audio setup today. Sold as a pair. Total Frequency Response: 45 Hz to 24 Hz. A familiar design meets new technology. 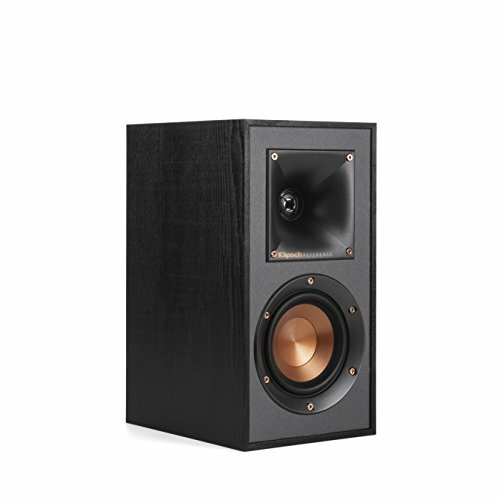 Introducing the R1850DB 2.0 bookshelf speaker. 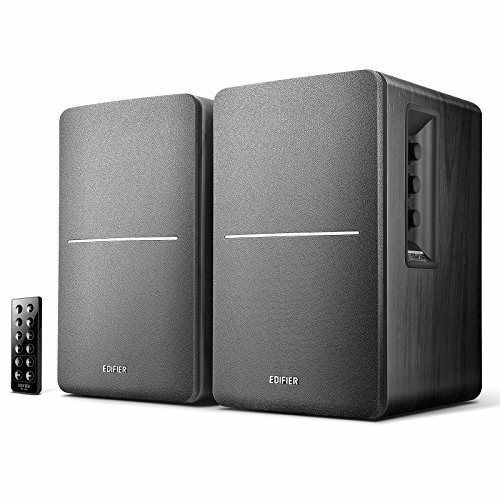 Connect your any Bluetooth device and begin to experience an incredible sound from Edifier's astonishing speakers. 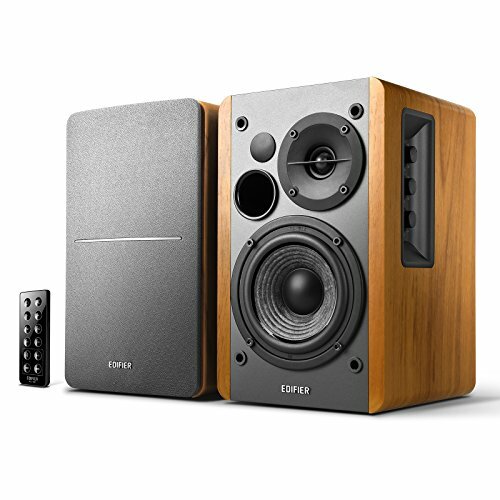 Producing 70 watts of balanced sound, Edifier's R1850DB are a stand out in both categories of style and sound. 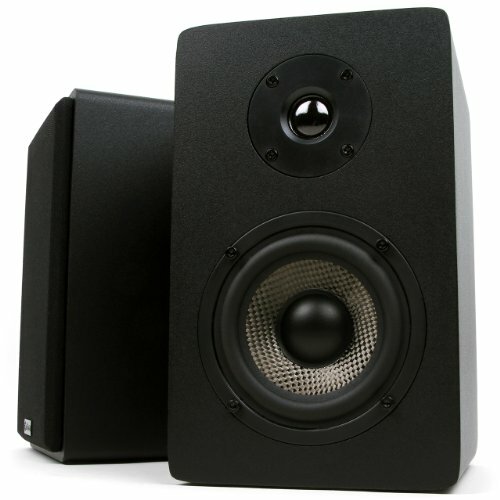 Its 4.5-inch midrange/woofer speaker drivers create rich lows. Meanwhile, the treble units produce clear highs. They are equipped with both Digital Signal Processing (DSP) and Dynamic Range Control (DRC) help limit and reduce distortion even at higher volumes. 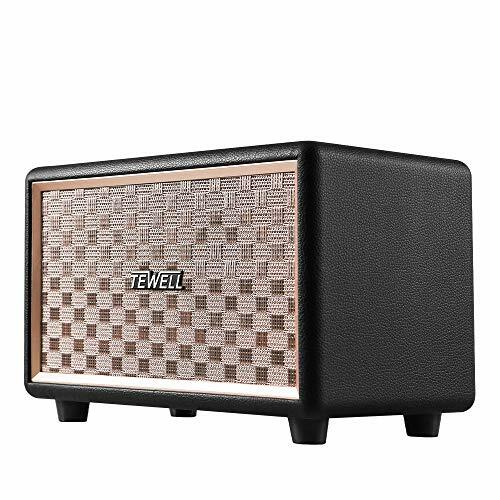 The built-in class D amplifier powers the speakers and eliminates the need for receivers or external amplifiers filling your desired room with sound. 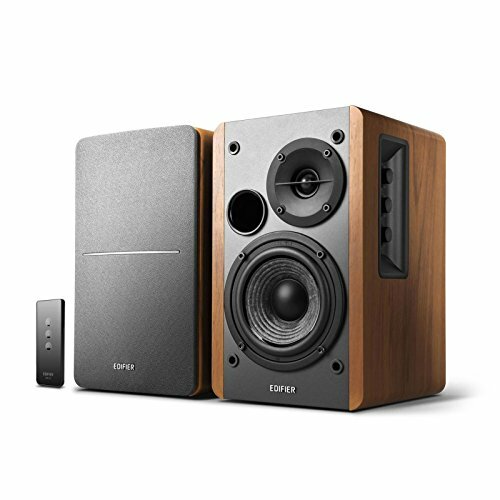 Every aspect of Edifier's R1850DB is designed with purpose. The medium-density fiberboard [MDF] enclosure reduces distortion and minimises acoustic resonance. The base of the speaker is angled at 10 degrees incline. The design of the angle directs the sound from the woofers right to your ears. 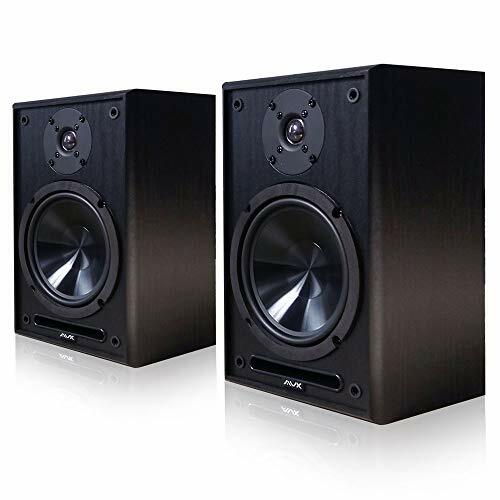 Polk Audio has done it again with their TSi100 bookshelf speakers. 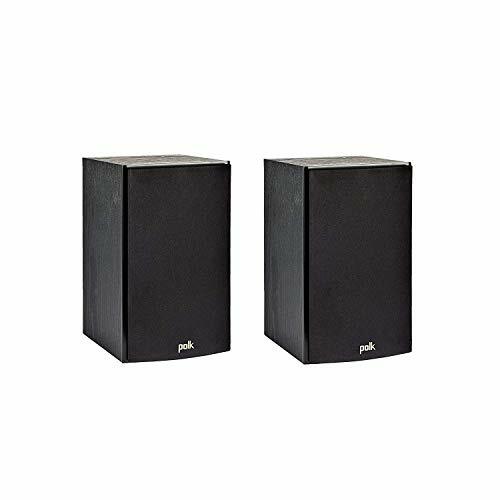 Enjoy listening to your favorite jams through these affordable bookshelf speakers that feature wide-dispersion woofers and tweeters for thrilling sound that keeps you rocking. Built-in crossovers with Mylar bypass capacitors deliver expressive highs for a lush soundscape. 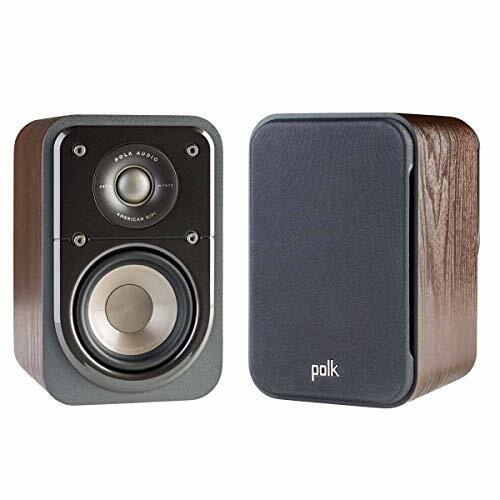 Polk Audio has once again raised the standard for great sounding speakers that also offer incomparable value. The new TSi Series takes entry-level component speaker pricing and gives the audio/home theater buff a lot of Polk Audio for the money. The TSi Series was designed to be highly efficient, so they can be driven easily by unpretentious receivers, and they're voice-matched for lifelike surround sound environments. The new TSi Series' contemporary look was inspired by our top-of-the-line LSi Series and designed to work with today's most stylish televisions and electronic components. 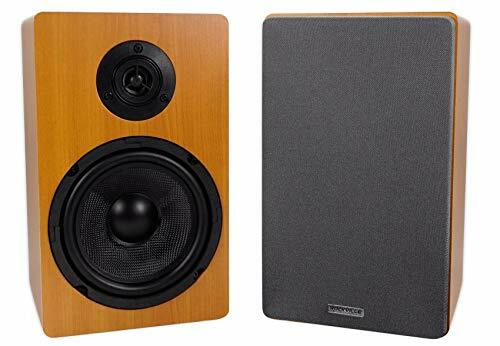 Stands apart: These capable, audiophile grade speakers will not break your budget but will exceed your expectations. Refined silk dome tweeters, 6.5 Polypropylene Woofers and a custom tuned bass reflex port accomplish fantastic sound in an unparalleled, affordable package. Dimensions: Cabinet measures 12 (H) x 7.75 (W) x 7.5 (D). Can be wall mounted with the included eye hook and is also pre-drilled to accept the Aeon speaker mount. Search Amazon for ASIN: B005SEN20S. Warranty: Three year parts and labor (limited) warranty. AVX Audio guarantees this product will be free from defects in workmanship and materials. The height of these stands are 36 . The reason we chose this specific height is that after testing stands at other heights we noticed this height was optimal for listening. In addition to performance we also would like to note that at 36 these stands look gorgeous! The included isolation pads not only provide a no-slip surface but help your speakers achieve superior acoustic quality.. . Another really cool feature I would like to mention is the empty body design. By adding sand to the body of the stand you can increase the weight if you so choose. The load capacity of these stands are 60 lbs. Most other stands on the market have a maximum load capacity of 20 lbs. which really is not enough for a lot of speakers on the market. These stands are sturdy, built well, look great, and out-perform the competition so buy with confidence! 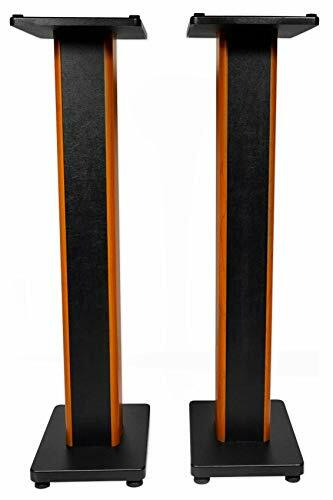 The Rockville RHTSC high performance wood speaker stands are designed with appearance, performance, and quality in mind. 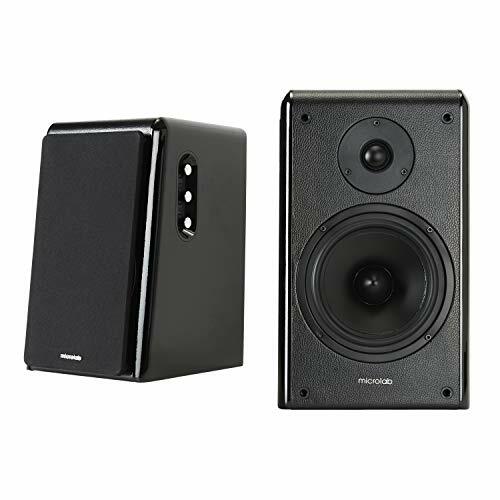 These stands are perfect for Bookshelf speakers, surround sound speakers and even studio monitors!. . Our stands are finished with premium furniture-grade paint that will not crack, chip, or peel. They will look great in your living room, family room, den, or even studio. These stands are constructed from high quality medium density fiber core to minimize resonance. Unlike our competitors who use particle board we use a higher quality wood in the construction of our stands. With the included brass and rubber spikes as well as the included EVA speaker isolation pads you can feel confident that your speakers will be sturdy and perform optimally no matter what floor surface they are on. . . In addition to appearance and quality we also made sure to focus on performance. Vanatoo's mission is to combine a passion for music with the latest technology to bring an unprecedented level of performance to our users. Our powered speakers incorporate a lot of high-tech features in an easy to use package that will have you grooving within minutes of opening the box. The Transparent One Encore's small size belies its capability. Bass is full and robust, providing the musical foundation that competing systems lack. The midrange from the T1E is clear and articulate, providing a transparency to vocals and instruments that give the system its name. The high frequencies are clean and crisp. The result is an overall tonal balance and musicality normally associated with much larger systems. The combination of the unique industrial design along with the rich feature set means that the Transparent One Encore is equally at home next to a computer, used for streaming music in a bedroom or on a patio, and as the centerpiece of a killer 2.1 entertainment and gaming system for your TV. Inputs include analog, USB, optical, Coax and Bluetooth with aptX. The remote control allows you to pick your source from across the room, along with controlling the volume and tone controls. The magnetic grills provide the finished look that your living spaces demand. The "Smart Sub" output automatically detects that a subwoofer has been connected, setting the crossover for you and removing the bass from the T1E in the process. This both simplifies setup and improves the performance. The combination of features, performance, and flexibility mean that the Transparent One Encore is effectively obsolete-proof, assuring you of many years of enjoyment, and in many different places in your life over those years! Includes remote control, magnetically attached grills,a USB cable and 2 analog cables. 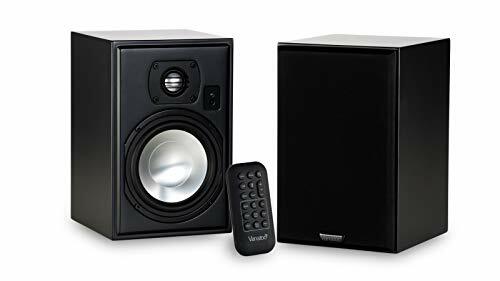 All-in-one bookshelf monitor speaker system with Hi-Fi sound quality that supports playback from smartphones, built-in network streaming services over Wi-Fi, high-resolution audio via the network or USB DAC function and Music Cast wireless whole home audio. SOLO16 is a 2.0 bookshelf speaker system with exquisite finishes. This new SOLO series is ideal for quality wireless streaming with Bluetooth 4.0 technology and high fidelity stereo sound. The front panel slope delivers sound directly to one's ears. The 6.5" woofer and 1" tweeter provide astounding performance with deep bass and uncolored sound. The fine wooden cabinet under glossy piano lacquer guarantees sturdy audio handling and minimum distortion. The uniquely designed LFE output for your X-bass experience by connecting a subwoofer turning your stereo system into 2.1 system. The amazing acoustic performance is mostly perfect for your bookshelf entertainment. for use as a rear or surround speaker in any 5.X, 7.X or 9.X speaker home theater configurations, The Polk signature S10 compact satellite surround speaker continues in the Polk tradition of American Hifi. Featuring Hi-Res certification, a New dynamic balance Designed acoustic array precision cross-overs, an anti-diffraction grille, modern cabinet styling and exclusive power port bass enhancing technology, you get elevated sound for movies, TV and music in a totally re-imagined design. 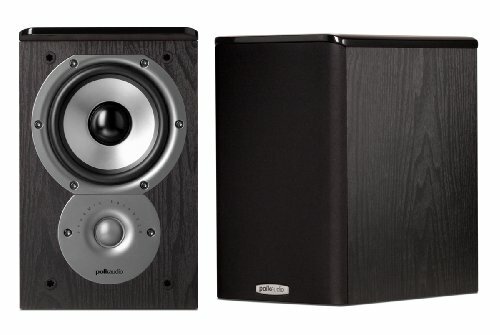 Polk expect great sound. whether upgrading your home theater setup with an advanced Atmos configuration or enjoying music, dynamic balance ensures a rich, clean, full-range sound no matter what you re listening to. This patented technology analyzes the speaker entire Electro-acoustic and mechanical system for improved material selection and more efficient geometry. It pinpoints and eliminates issues that reduce speaker performance before they become a part of the finished product. mica-reinforced polypropylene cones with butyl rubber Surrounds, massive ceramic motor structures and high-temperature Conex fiber spiders combine to create drivers of exceptionally high efficiency, for clean, clear bass, better linearity, and lower distortion.